POW! WOW! Festival is the best known street art festival in the world. It started in the outskirts of Hawaii, transforming a grey suburb into a beloved open air gallery. After several successful editions on the island of O‘ahu, the festival spread to locations in Los Angeles, Taiwan, Hong Kong and Japan. Rotterdam became the proud host of its first European edition! The first edition of POW! WOW! Rotterdam was a huge success! 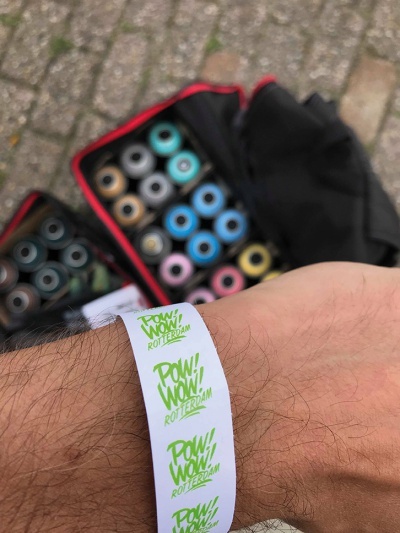 During the weekend of September 15 and 16 2018, the M4H area was in the hold of the best (inter)national street artists. The work of more than 70 artists could be admired in the form of murals, canvas, installations and vans. Aside from the art, a fantastic and diverse festival audience also enjoyed sports competitions and musical acts on the main stage.